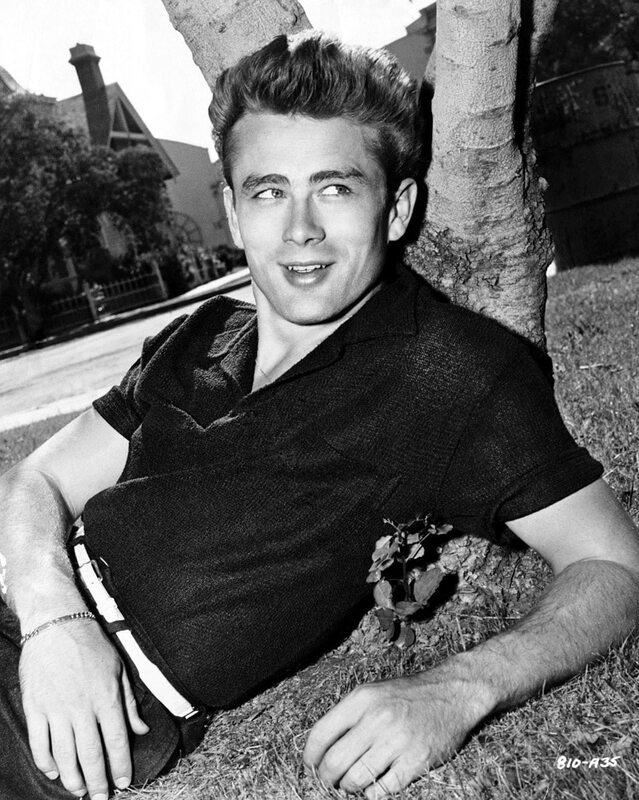 The polo shirt is a true men’s style staple. 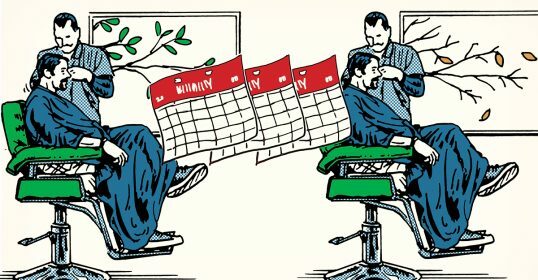 Yet despite its ubiquity in the male wardrobe, it’s not a garment that typically comes in for much affection or enthusiasm. Perhaps this is because of the negative associations with which the polo shirt is laden. It is often thought of in terms of a uniform — either literally, as in the required get-up of a pizza delivery man or elementary school student, or metaphorically, as the go-to garb for corporate drones and preppy fraternity brothers. The polo is further seen as the default of the sartorially lazy — something a guy dons when an event requires a shirt with a collar, and he can’t be bothered to even button up an Oxford. Yet the polo deserves a little more love than it typically gets. Falling between a t-shirt and a dress shirt, it’s the perfect garment for the many events in life that aren’t at all formal, but aren’t outright casual either. It’s a great shirt for summertime first dates, backyard BBQs, and when you’re not sure exactly where the plans for your day or evening will take you. 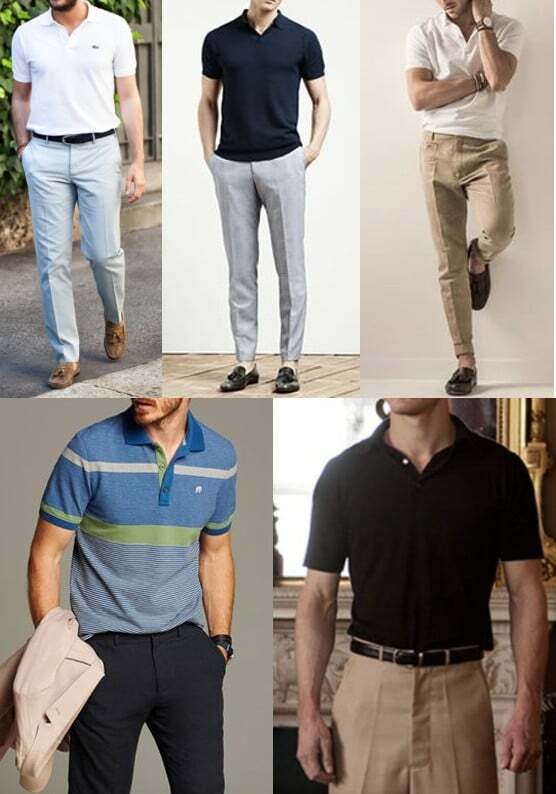 Even in terms of casual everyday wear, the cool, breathable polo shirt is just as easy and comfortable as a tee, but looks a notch more put together, so that swapping the former for the latter is a zero-effort way to upgrade your summer style. And far from being blandly uniform, or only worn by one type of man, polos have been popular with widely varied groups, from Nantucket yachtsmen to West Coast skaters; there are different types of polos for different occasions, and they can be worn and styled in many different ways. In other words, contrary to popular opinion, the polo shirt is quite versatile and can be sartorially interesting. Truly, the polo shirt is clutch. Today we’ll take a look at how to elevate it beyond the realm of casual Fridays and suburban dad-dom — how to wear a polo with style. Despite the name by which it is now known, the polo shirt did not emerge from the “sport of kings” but from the game of tennis. 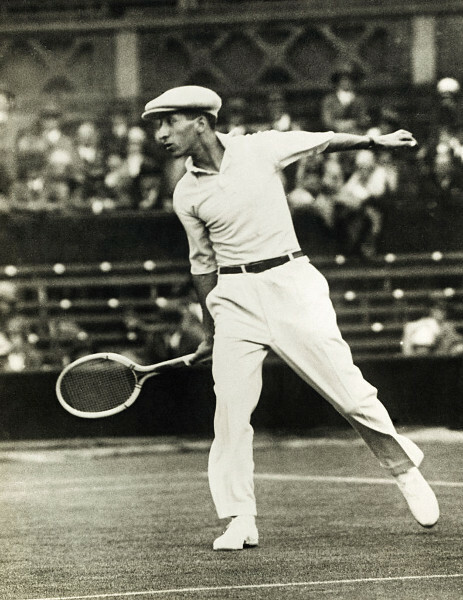 In its early days, tennis had a touch of aristocratic flare and was played in a get-up known as “tennis whites” — flannel trousers, a dress shirt (with sleeves rolled up), and even a tie. Thick, heavy, hot, and cumbersome, these garments obviously didn’t lend themselves well to playing an active, outdoor sport. Seven-time Grand Slam winner René Lacoste decided to do something about this issue, creating his own ideal tennis shirt. Made of a comfortable, breathable “jersey petit piqué” cotton, the white short-sleeved shirt eschewed buttons all the way down for a placket of three up top, and included a soft, unstarched collar that was still stiff enough to flip up to protect his neck from the sun. The flexible, lightweight shirt also had a longer tail in the back to keep it tucked into René’s trousers. Lacoste debuted the shirt at the 1926 U.S. Open — which he won in both comfort and style. The following year, Lacoste, who was nicknamed “the Crocodile,” adhered the now famous reptilian logo to the breast of the shirt. And in 1933, the retired player began to manufacture his garment for the masses. 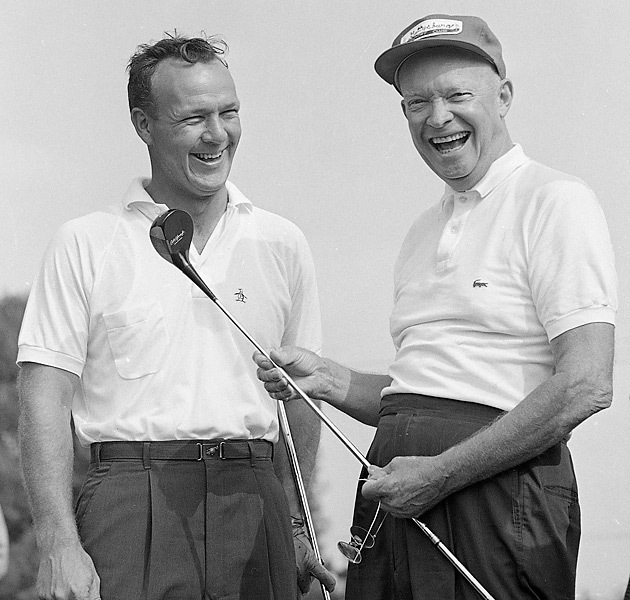 The popularity of the polo was given a big boost when President Eisenhower was seeing wearing one. 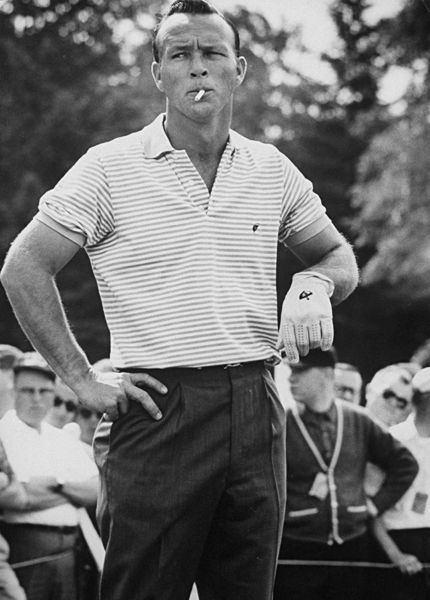 Golf courses began changing their dress codes to allow for polos on the course. In the 1950s, Lacoste began to offer the shirt, formerly only available in white, in a wider range of colors and brought the polo to America. It soon won widespread adoption by discerning sportsmen, particularly golfers, and then moved into the realm of everyday casual wear. The 50s also saw the rise of a competitor to Lacoste; fellow tennis champion Fred Perry introduced polos that had his soon-to-be iconic laurel wreath logo stitched instead of ironed on, and were adopted by English scooter-riding mods. An even fiercer competitor to Lacoste’s polo dominance emerged in the 1970s. Designer Ralph Lauren named his line of WASP-y casual wear “Polo,” and a central piece of this collection consisted of, appropriately enough, polo shirts. As Lacoste and Lauren battled it out for dominance, the polo gained even more popularity, and became associated with the “preppy” look of the 1980s. The polo shirt began to lose some of its cache in the 1990s, as it became the go-to get-up for casual Fridays, and corporations made it the actual uniform for workers ranging from customer service reps to waiters. Still, the polo has maintained its staying power, and continues to be worn by everyone from U.S. presidents on the golf course to rap moguls on stage. It should continue to be a mainstay in your everyday wardrobe too, as long as you wear it with style. There aren’t too many technical details to know about the polo shirt, but it’s helpful to have an understanding of the kinds of fabrics it comes in, particularly its two main types. Polos are available in a variety of materials from natural to synthetic. The latter often make up the performance blends used in polos specifically designed for athletic wear. Silk and silk blends are an option, but are not recommended, as they show your sweat easily, lose their color as they become wet, and just look rather cheesy. Polyester, or cotton/poly blends extend the life of the shirt, but are less breathable, more stinky, and cheaper looking. Wool and wool blends are often used in “retro” style polos, and make for shirts that look a little more formal and can be worn into chillier months. Pique. The original polo fabric, pique is knitted in a woven pattern that lends the material a textured surface. The fabric has some heft and heaviness, but the holes in the weave keep it breathable, and it resists showing your sweat. The sleeves typically terminate in a ribbed band/cuff. With a little more substance and structure, the pique polo is a bit more formal and professional. Jersey. 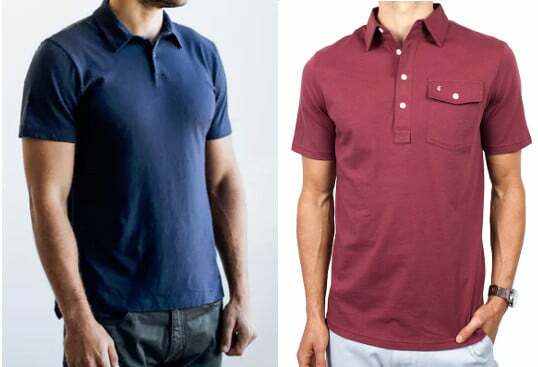 A jersey polo is made from the same kind of fabric used in t-shirts, and has the same flat, smooth, soft, stretchy feel. The sleeves of a jersey polo tend to end in a simple hem, rather than a distinct band. Lighter in weight, the jersey polo is cool but will show your sweat more, and is less durable. Its lightness and relaxed drape also give it a more casual vibe. Pique and jersey polos each have their own look and feel; overall, I reach for the jersey kind for comfort, and pique when I’m doing something a notch up in formality. Length: The bottom hem should not hit farther than halfway down your pants fly/back pockets — no higher than the hip and no lower than a few inches below your waistband/belt; the shirt should be long enough that you can tuck it in and short enough you can wear it untucked without it looking like a nightgown. Sleeves: Should hit about midway down your bicep, and run no longer than 2/3 down your upper arm. Overall the shirt should sit close to your body — fitted but not too tight. It can be a little tighter in your chest and arms, and then taper down to your waist. The better shape you’re in, the closer-fitting the polo can be, but you don’t want it skin tight. You should still be able to stick a couple fingers under the sleeves. Wear an undershirt. A polo is meant to be worn as a base or single layer close to the body, and an undershirt adds excess bulkiness underneath it, and can peep out of the neckline/collar. If you do wear an undershirt, choose one with a neckline that won’t be visible. Layer polos upon polos. One polo at a time, please. Pop the collar. This trend has fortunately receded, but in case you were tempted, don’t. It still reads as douchey. If you need to pop the collar in a short-term circumstance to protect your neck from the sun, feel free. Choose a shirt with a pocket, unless secured. A pocket on the breast of a polo can add a bit of visual interest, but it rarely if ever gets used, and tends to simply sag and become misshapen, detracting from the shirt’s sharpness. So eschew pockets generally, the exception being ones that have flaps and are secured with a button to stay closed. Wear a shirt with a large logo. While we typically advise staying away from corporate logos on clothing altogether, a logo on the breast of polos has been one of its signature marks from the very beginning, making them quite typical and more tolerable. If you can find one without a logo, great; otherwise aim for those with logos that are tasteful and minimal in size, rather than large and garish. Wear a long-sleeved polo. There are such things as long-sleeved polos, and while it may be possible for them to look really good, I’ve never seen ones that do. The polo’s heritage is that of a short-sleeved garment for warm weather and active pursuits; to then extend the sleeves runs contrary to its style DNA and looks funny, much like the ill-advised short-sleeve dress shirt. Wear an athletic polo for casualwear. Polos designed for sports like golf or tennis are made from synthetic performance materials and cut for ease of movement. They’re great for the course or the courts, but shouldn’t be worn outside of them. Button at least one of the buttons. Having all the buttons undone looks floppy and sloppy. One is usually good. Having all of them buttoned-up changes the look of the shirt considerably, and is ironically a little more of an “anti-establishment” look, if that’s what you’re going for. Feel free to tuck or untuck, depending on the occasion. A polo shirt can go either way. Tucking, of course, gives you a more formal look, while untucking is more casual. If your shirt’s longer in the back than the front, then it was definitely designed to be tucked. Have a core collection of solid, basic colors like blue, black, and white. You can’t go wrong with having a few polos in these classic shades. Polos with stripes or contrasting colors on the sleeve bands/collar aren’t always a bad choice but do read as more casual, trendy, and young. Expand into brighter and more interesting colors. You ought to have something a little different too, like pinks, purples, reds, and greens. My two favorite polo brands: Flint and Tinder (left) and Criquet (right). Both have a great, handsome fit and are made with quality fabric. All of Flint and Tinder’s jersey polos, as well as Criquet’s pique polos are made in America. Expect to pay $50+ for a good polo. Polos can so easily look schlumpy and dumpy that it’s worth paying extra — typically upwards of $50 — for those that fit well and evince quality. Of course, sometimes a big price tag is only the result of marketing, rather than quality, so make sure you’re paying for a durable, top-notch garment, rather than a brand name. The polo shirt is quite versatile and can easily be worn from the beach to a classy day at the races. It’s all in how you dress it up or down. Let’s start at the most casual level, and work our way up to greater formality by degrees. The polo is a little classier than a t-shirt, and can be worn in pretty much any scenario you’d wear a tee for a more put-together look. For the most casual get-up, pair your untucked polo with khaki flat front shorts, canvas sneakers, a field watch, and a pair of aviator shades. To up the sharpness a bit, swap the shorts for dark denim or chinos (it’s best to choose another color beside khaki to get away from the corporate/school uniform look). Wearing chukkas, boat shoes, or Chelsea boots rather than sneakers will up this look another notch. 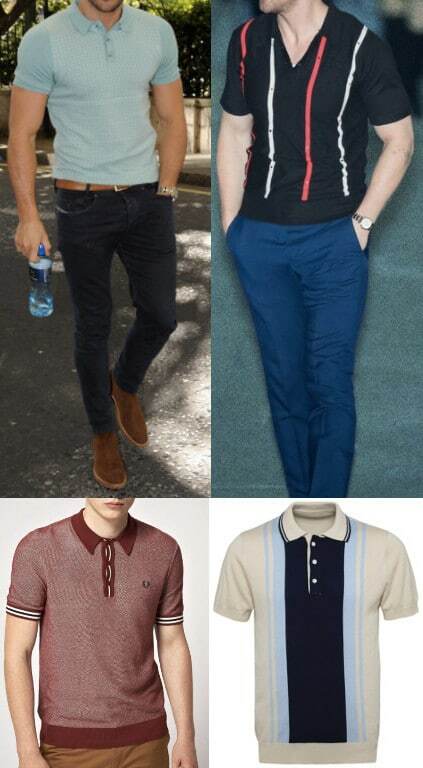 To go up another level of formality, swap a cotton polo for a retro-styled wool knit one. These sweater shirts often come with contrasting colors on the collar/arm bands, as well as a banded bottom (don’t wear them with low-rise pants, lest your top turn into a midriff). It’s not a look for every guy, but can be handsome on some. To move up the formality ladder another rung, keep the polo but swap the chinos/jeans for actual trousers. Tuck your shirt in for greater professionalism, and pair with a nice belt and leather loafers. You generally want to stick with a solid colored shirt rather than one that’s patterned or striped. I confess I’m not crazy about this look; the casualness of the polo on top conflicts with the formality of the trousers on the bottom. But it certainly seems to be the go-to casual Friday get-up for lawyers and other professionals around here. To dress the polo up further, it can be paired with a sports jacket and either nice jeans, chinos, or trousers. Sartorial purists poo-poo this look, asserting that the polo is too casual to be worn with a jacket, and that a sports coat will always look better with a dress shirt underneath. But I actually find the polo+jacket combination less jarring than polo+trousers, perhaps because the sports jacket, just like the polo, was originally designed for sporting pursuits. And while it’s true that a dress shirt will almost invariably look better, on a very hot day, the short sleeve polo will feel cooler and more comfortable than a long sleeve button-down. The soft collar of a polo can rumple and collapse behind the collar of your jacket, so make sure you keep it upright and straight with its points inside the jacket’s lapels; collar stays can help with this (Criquet’s shirts come with them). 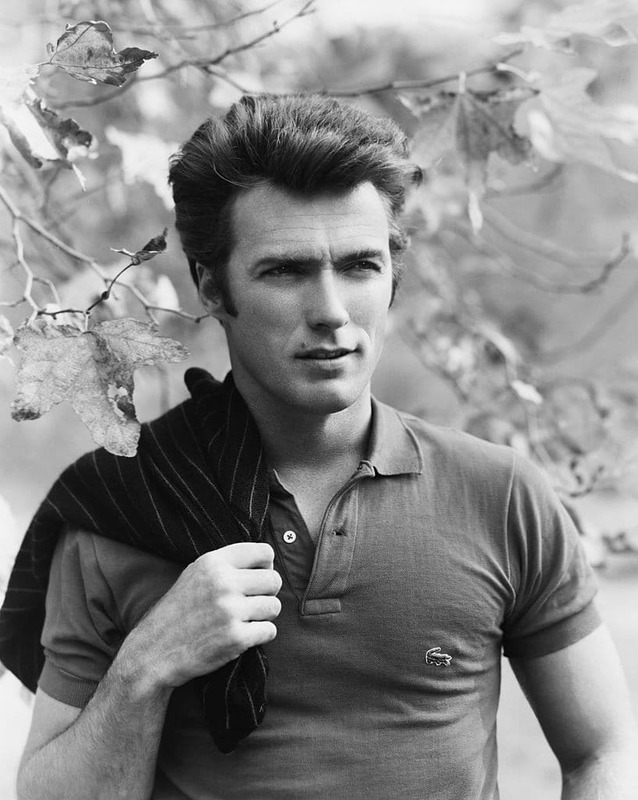 Only pair a polo with a soft, relaxed, unstructured jacket, ideally in a natural fabric like cotton or linen. Structured wool jackets will jar too much with the polo’s casualness. Wear a polo with a solid color or subtle pattern; stripes or loud patterns are too casual and busy to be paired with a jacket. A polo with a longer placket/more buttons (up to 4) looks especially nice under a jacket, as it harkens more to the dress shirt. Even if you follow these tips, the sports coat+polo look is hard to do well, so if you’re not sartorially confident, just stay clear and stick with dress shirts under your jackets. To formalize the polo to a greater degree would mean wearing it with a full-on suit, which is even more difficult to pull off than pairing with a sport coat, and should only be attempted, if at all, by the most sartorially daring and confident (rather than the lazy and confused). Dressed up or dressed down, the polo is a men’s wardrobe staple. But as you’ve hopefully seen, basic doesn’t have to mean bland.